This is a 100% Natural Large 8 oz Jar of Moroccan Black Soap infused with Eucalyptus Essential Oil & Pureed Fresh Black Olives. Comes with an all Natural loofah Exfoliation mitt. The black soap is part of the traditional hammam ritual. With a texture of butter, this natural Olive Oil paste based with black olives is rich in vitamin E.
It is obtained from a mixture of Olive Oil & pureed olives infused with Eucalyptus Essential oils. suitable for every type of skin. It prepares the skin for exfoliation. The skin will be softer and ready for a scrub. Combined with the action of the Kessa glove will remove impurities and dead skin. Thanks to it exfoliating and moisturizing, it softens and nourishes the skin. It does not foam but becomes creamy when you add water. After 15 minutes in your hot bath, hot shower, steam room or hammam, using only plain water, apply soap on a warm, damp body. Avoid eyes. Leave on for up to 10 minutes then rinse with warm water. Your skin is now softer and easier to exfoliate, get ready for a gommage with the Kessa glove. Tip: Try the gommage with a dry Kessa glove on warm damp skin (not wet skin). Use circle motion then wash off all dead skin. Dry and moisturize with Argan oil or your body lotion. A weekly exfoliation is recommended. Do not apply soap on damaged skin and avoid area around eyes . Removes dead skin (the rough and dry outer surface). Deep cleans the skin by removing toxins and dead skin cells, making our skin softer. The exfoliation increases the blood and lymph circulation. With its anti-microbial proprieties Moroccan black soap is rich in vitamin E. Highly advised to relieve itchy back due to an excess of dead skin and clogged pores. Ideal to reduce in-growing hair. After the gommage your skin is ready to absorb better your next skin care treatment - mask, moisturizing or tanning. 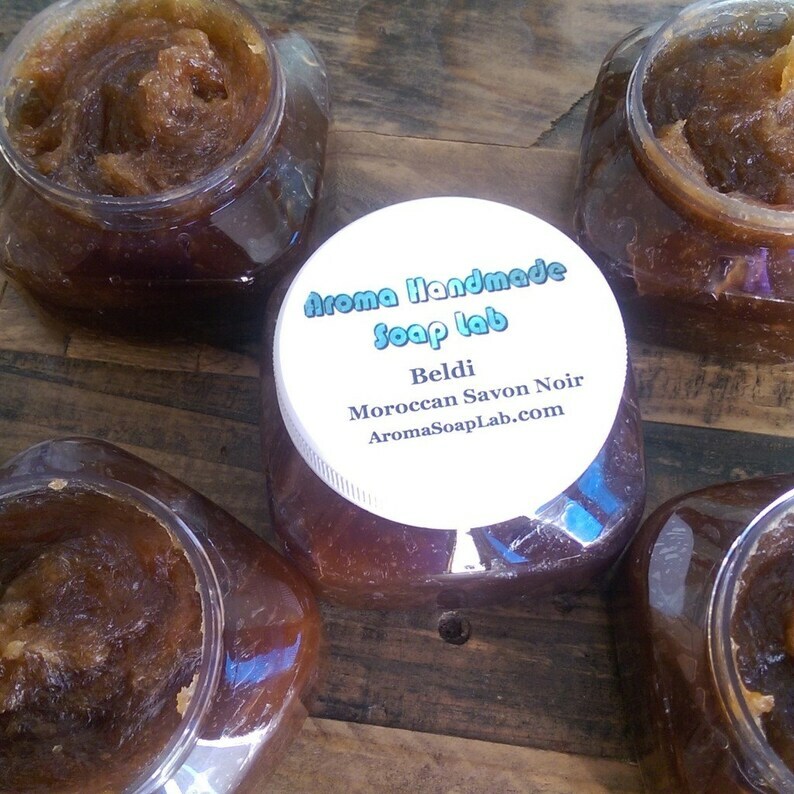 The authentic for finishing, Moroccan women moisturize their body with Argan oil, you may use lotion or body butter.